I lived in a rental for 13 years and though my apartment has its own unique charms, I had to leave it behind after moving out. That means letting go of pricy (and permanent!) upgrades I made throughout the years. It’s not like I could take home that awesome tiling job I had done in the bathroom. Or the new sink I had installed in the kitchen. Renting has its perks but as far as apartment design goes, there are limitations. For one thing, it’s hard to create a unique space to call your own when your security deposit is on the line. Renting a home means thinking twice about investing money in permanent upgrades that do not move with you. If you’re living in a temporary home, there’s no guarantee that you’d be able to maximize all the upgrades you made in the apartment design. On top of that, you still need to get your landlord’s approval before you make permanent changes in your apartment. Nothing quite like a fresh set of curtains to make the dreariest rental come alive! If your apartment comes with dorm-like blinds, you can use the curtains to conceal them. This way, your apartment does not look like a hospital room! 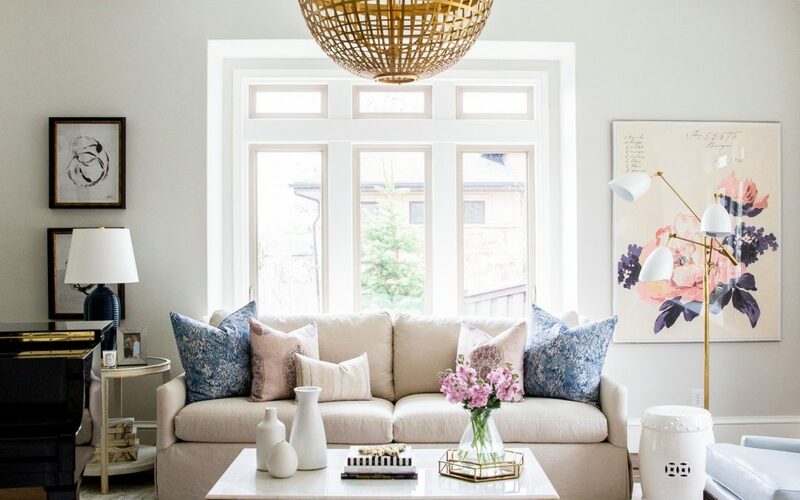 Cop that Scandinavian hygge vibe with neutral curtains or opt for striking colors to define your space. Adding curtains to your apartment has many benefits. Better window treatments make a more energy-efficient home. 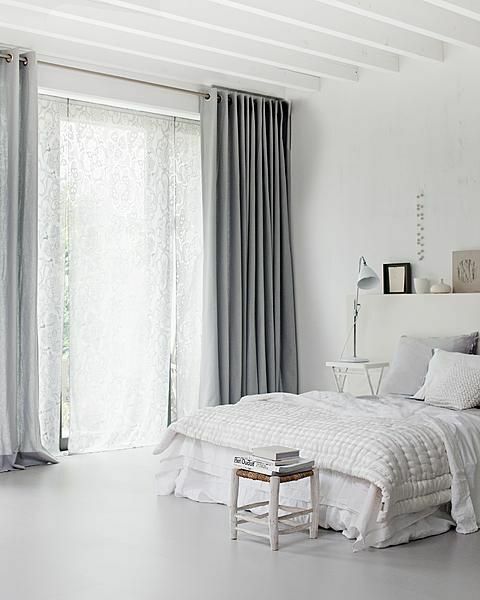 Curtains make a plain room look ten times more stylish. The best part? This is the kind of upgrade that moves with you. Old, builder-grade cabinet pulls do not contribute much to the aesthetics of a rental. Eye-catching hardware, such as decorative knobs and cabinet pulls, is the kind of interesting little detail that showcases your unique personality. Go ahead, replace plain cabinet pulls with cool knobs! You can always collect and reuse the pulls once you move out. I love the idea of adding an accent wall in a room; it just adds character to the overall apartment design. A fresh coat of paint makes a rental look brand new but if you don’t want to spend $$$ on a professional paint job, temporary wallpaper is a more affordable alternative. 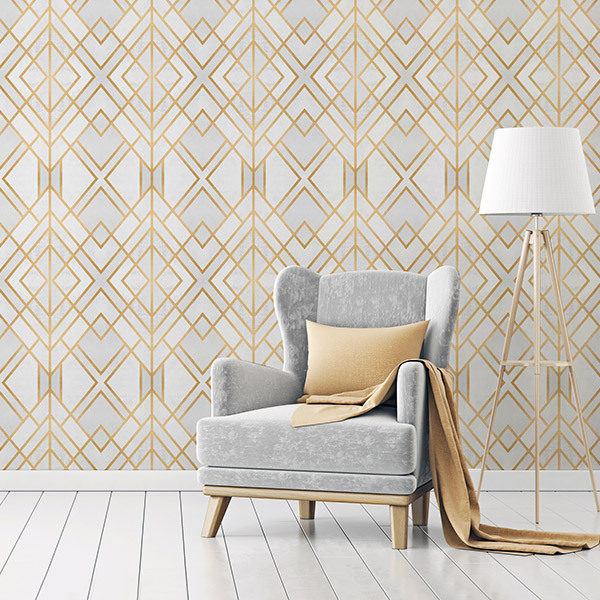 Temporary wallpaper offers the charms of conventional wallpaper minus the commitment. Unlike traditional wallpaper, temporary wallpaper can be applied without using glue, just stick it on the wall. The adhesive won’t leave a grimy residue on the walls. You can even reuse the wallpaper to spruce up other areas of the home. Since temporary wallpaper is easy to remove, you can change the look of your living space whenever. Best of all, installing temporary wallpaper is cheaper because you can stick the wall décor on your own. Nothing ruins the look of a bathroom than grimy, sputtering showerhead. Thankfully, replacing old showerheads is so easy. Give your shower a much-needed upgrade, replace that rusty, old showerhead with a new one. If you’re unsure what type of showerhead to get, go to the nearest hardware store for a look-see. Customized cabinetry is out of the question when you live in a rental. A happy compromise would be investing on bookcases. Let’s face it, storage space is a real headache when you’re renting. Bookcases allow you to stretch what little storage space you have. These versatile pieces of furniture do more than store books. 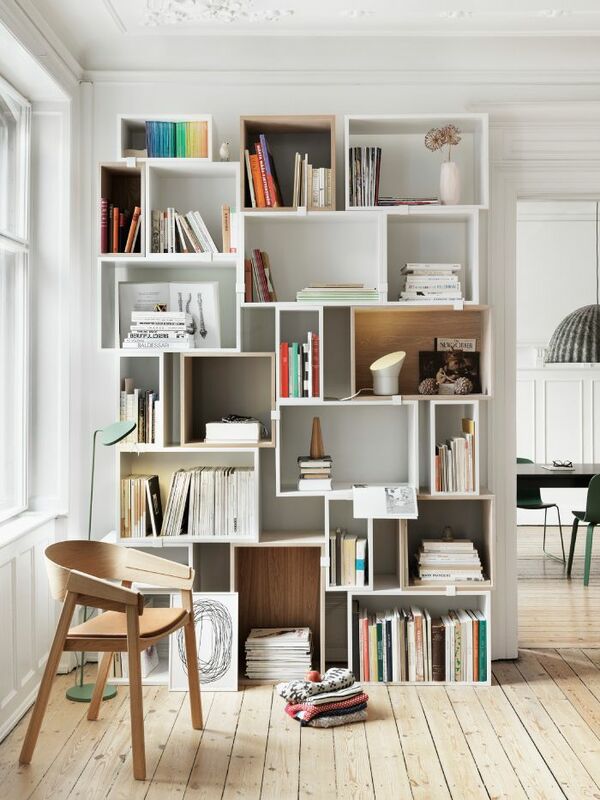 You can use bookcases to stretch what little storage space you have. Invest in several bookcases in different sizes. Place them in any spot that needs organizing. Add pretty baskets for a pop of color or to conceal stored items. I love decorating with artworks because nothing is sadder than bare walls. Put your favorite paintings, framed photographs, or wall decors on display. You can build an art gallery wall or use a large painting as a focal point of the room. If you are not allowed to drill holes in the wall, get those stick-on hooks and start dressing your walls. A dim, bug-filled light fixture is a no-no. Give your rental a much-needed upgrade by changing the lighting. Better lighting will work wonders with tired, plain spaces. You can replace that old overhead lights with a chandelier or a contemporary set of light fixtures. 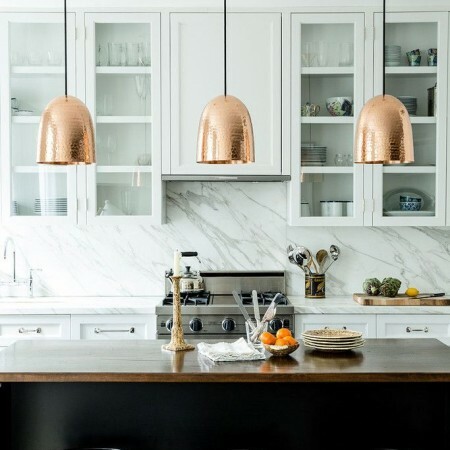 Most light fixtures can be replaced on your own so dedicate the weekend to upgrade the lighting in the home. If for some reason you can’t change the overhead light fixtures, invest in floor lamps instead. I highly recommend investing in multipurpose pieces of furniture. These pieces are the best in terms of maximizing small spaces! Folding chairs, folding tables, storage beds, shape-shifting pieces, etc., these space-saving furnishings will make every inch of space in your apartment work harder. A couple of tastefully-designed rugs elevates the overall look of an apartment design. Carpets and rugs add texture and definition to the home as well. They are especially useful as functional decors for open floor rentals. 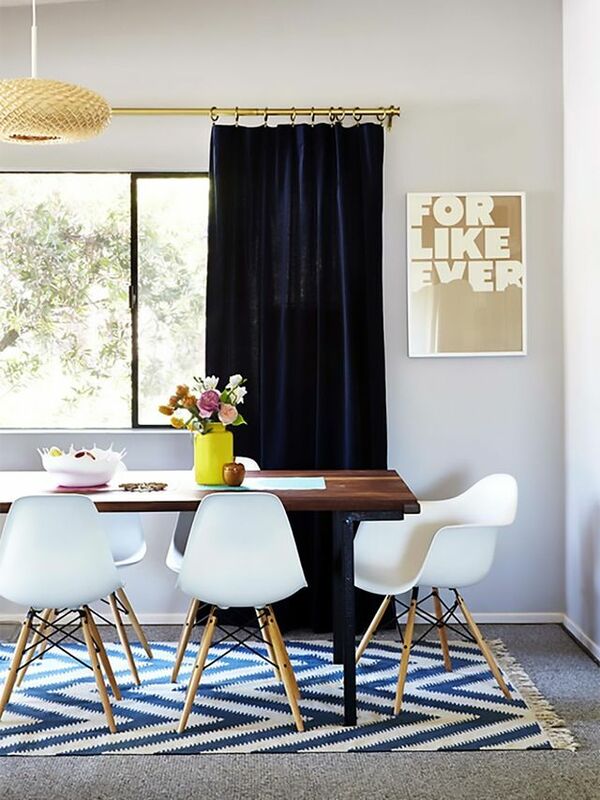 Apart from adding a touch of coziness to a room, rugs can be used to hide imperfect floors. A thick, dense rug could offer better insulation too. Choose a nice rug that 1) fits your budget and 2) goes with the apartment design. If you’d like to add a pop of color to your home, go for rugs in vivid colorways or graphic carpets. Opt for neutrals if you want the rug that matches any interior. And speaking of making every inch of space work harder, try installing a pegboard in the kitchen to organize your cooking essentials. A pegboard is a terrific way to sort and organize everything from strainers to pots and pans. The best part? Installation is a cinch!